Riding on 5 years of positive feedback, Narconon International continues to deliver training across violence-plagued Mexico as well as in Guatemala, Colombia, Peru, and other nations. These indigenous peoples have been impacted hard by the narcotrafficking wars. They’ve told me that hundreds of their village men have been kidnapped into narco gangs. Indigenous Indians from the jungles of Oaxaca and the mountains of Veracruz, Mexico recently attended Narconon First Step workshops to learn how to use simple, but effective rehab tools such as vitamins and minerals, communication and orientation exercises, and the booklet The Way to Happiness. Some years ago, when Narconon first delivered workshops to Twelve Step and other centers in the state of Michoacán, the response was huge. Someone was coming to help them. But then (as now) Michoacán was flooded with inter-gang violence. One brave soul, Arturo, who had 5 rehab centers, including one for children, adopted the First Step, promoting it heavily. That was too much good news for others with a much darker agenda. Arturo was kidnapped and murdered. But other Michoacán rehabs never gave up the fight, and the First Step (called there Primer Paso) has continued. Now, Edgar from Michoacán has come up to Narconon Tijuana in Baja California to train, intending to go back and help hundreds if not thousands of others in his home state come off drugs with less pain and more gain. Narconon Tijuana itself is an offshoot of the First Step workshops. The first ones were delivered in Tijuana and Ensenada in 2010 by Laura Capaceta and Clark Carr, president of Narconon International. Almost immediately, Padre Jaime Lares of a Narcotics Anonymous center (Reencuentro con la Vida, “Finding Life Again”) decided to investigate Narconon methods. Within two years his staff had fully trained up on the Narconon drug rehab materials, and Narconon Tijuana is now delivering the full program to persons from throughout Mexico (and Spanish-speakers from Southern California.) 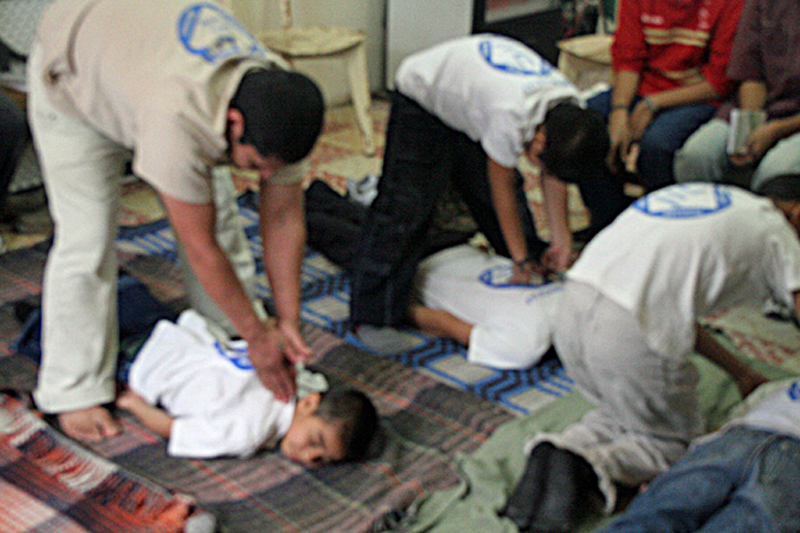 It is also training persons from across Latin America in the lower gradient, easily learned “First Step” of Narconon. For one example, Luis Fernando from Medellín, Colombia first saved his son from the disintegrating effects of addiction. Then he and his son devoted themselves to work one-on-one with other drug addicts on the street. But how to do that? As anyone knows who has tried to help just one out-of-control drug addict, this is like grabbing a rattlesnake by the tail. Luis found out about Primer Paso Narconon and is now arriving for training at Narconon Tijuana. 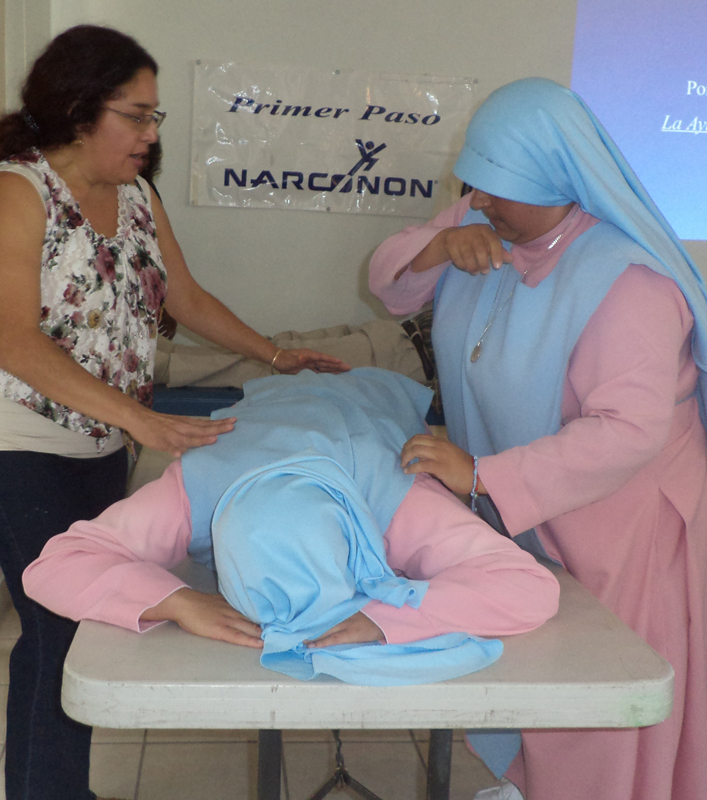 Narconon workshops were delivered a couple years ago in Guatemala, also torn apart by the narco wars. Many Twelve Step and other rehab centers have continued to use Narconon tools since then to ease withdrawal and keep their students’ spirits up and willing. Now one Guatemalan rehab director is also flying up to Tijuana to get trained. Narconon Tijuana also interns its First Step trainees, sending them out to help persons in withdrawal hands-on in the dozens of other rehabs in the greater Tijuana area. The idea is to “export” this methodology, to share it with others to help as many people as possible. For more information on the Narconon First Step, visit http://www.narconon.org or call 800-775-8750.